Take your baked cupcakes and smear frosting on top. Add sprinkles. 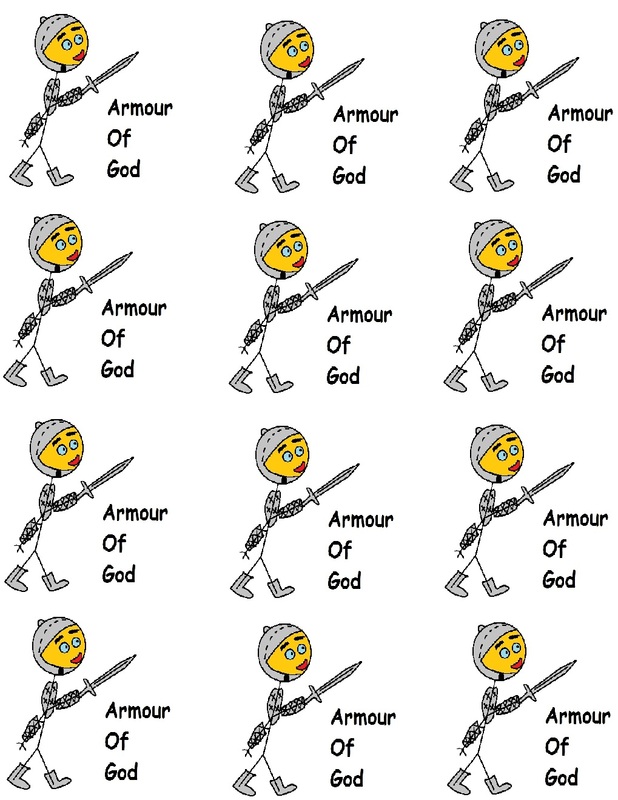 Print Armor of God template and cut it out. Tape it to a toothpick and stick down in cupcake. Take for Sunday school or Children Church. (Ephesians 6:11) Put on the whole armour of God, that ye may be able to stand against the wiles of the devil. (Ephesians 6:12) For we wrestle not against flesh and blood, but against principalities, against powers, against the rulers of the darkness of this world, against spiritual wickedness in high places. (Ephesians 6:13) Wherefore take unto you the whole armour of God, that ye may be able to withstand in the evil day, and having done all, to stand. (Ephesians 6:16) Above all, taking the shield of faith, wherewith ye shall be able to quench all the fiery darts of the wicked.